I lived in West Baltimore until age 7 in the same block on North Ave where unrest and rioting occurred after Freddie Gray was fatally wounded in a police van. During my time there, my parents warned me to stay away from the front windows for fear of stray bullets. After attending law school in Washington, D.C., I eventually moved to the District of Columbia where I currently reside. Despite being less than 40 miles apart, the two cities are as different as night and day except when it comes to the recent spike in violent crime. Baltimore is mostly a blue collar city with almost one fourth of its residents living below the standard of living. Washington with its federal government presence and large influx of millennials residing there bears little to no resemblance to Baltimore. Both cities like many others are experiencing increased spikes in crime not seen in many years—for reasons not clearly known. In Baltimore, the spike was thought to be due to several factors. Former Police Commissioner Anthony Batts believed it was due to stolen drugs taken from a pharmacy raided during the unrest after Gray’s death. Batts was fired by Baltimore Mayor Stephanie Rawlings Blake citing his lack of knowledge of the city. 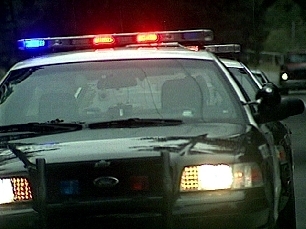 Community leaders and many residents living in areas affected by the outbreak in violence following Gray’s death determined the lack of police on the streets caused the increase in crime. Many residents believed police retaliated following the arrest of six officers for the death of Freddie Gray. Changing police chiefs did little to combat the violence. Baltimore’s violent crime rate in 2015 so far exceeds that of New York despite New York having 7 million more people. In Washington, DC, no unrest or riots occurred. D. C. Mayor Muriel Bowser, like Baltimore’s former police commissioner, stated the increase in crime was due to drugs—new synthetic ones on the street. Others state no data exists to support her theory. Unlike Baltimore’s former and present police chiefs, D.C. Police Chief Cathy Lanier rose through the police ranks and has served under three mayors. She is no novice to crime in the city. Lanier blames illegal guns for the rise in violent crime. Rank and file police members state a change in deployment of police and disbanding of vice units by Lanier are to blame. Most criminologists are at a loss for the reasons. 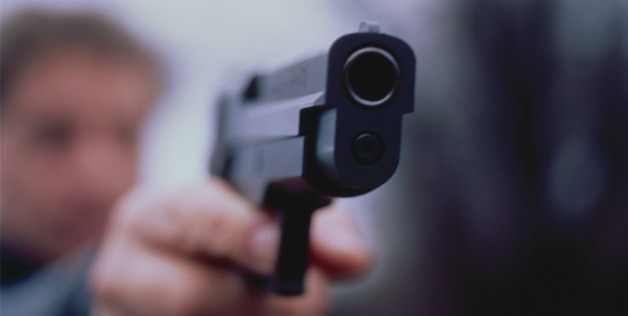 D.C.’s 102 killings in 2015 almost equal all of those occurring last year. Baltimore logged in more than 200- so far this year. Reported violent crime in the District of Columbia does not exclusively occur in lower income areas of the city. In May, Daron Witt allegedly held captive three members of a prominent family plus their house keeper in a more affluent area of the city, later setting the house on fire and killing all four. In another incident, a woman posed as a man to meet a male lawyer for a sexual encounter in a downtown hotel—killing him. And in the 102nd murder occurring in August, the victim died as a result of a stabbing at a neighborhood basketball game. Baltimore and the District of Columbia are alike in that they want answers. What is clear is that a one size fits all approach will not stop the increased violent crime rates in both cities. Any approach needs to include involvement of community leaders, residents, police, law enforcement officials, criminologists, sociologists, social workers, criminal defense lawyers and prosecutors for starters. 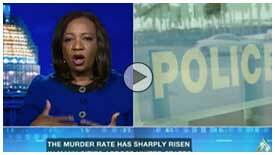 The reasons for the increased violent crime rates may be as diverse as the number of violent crimes occurring. I was sad to hear a mistrial declared in the case of Jonathan Ferrell whom Charlotte-Mecklenburg officer Randall Kerrick shot 10 times as Ferrell sought help following a car accident in 2013. The deadlocked jury after 4 days of deliberations sadly came as no surprise to me. And as a former prosecutor, I felt anger at the jury and a criminal justice system that often vindicates police killings of unarmed black men and boys. A grand jury indicted Kerrick on voluntary manslaughter for which he stood trial. A civil suit resulted in a $2.25 million settlement. No dispute existed by prosecutors or the defense that Kerrick intended to shoot Ferrell and that Ferrell died as a result of the shooting. The issue remained whether Kerrick shot in self- defense or used excessive force as the prosecution argued. The jury of eight men and four women consisted of 3 African Americans, 2 Latinos and 7 whites. The initial jury vote was 7-5 and the final vote was 8-4 for acquittal. The jury did not reveal the racial composition of the jury’s vote. I surmise that the breakdown likely appears along racial lines. While some argue the jury did not decide the case based on race, I disagree. As a trial lawyer and former prosecutor, race plays a pivotal role in most cases where one party is white and another is black. It does not necessarily mean that a juror is overtly prejudiced for or against one party based on race. It does mean the lens through which jurors view the facts of a particular case is based on their own perceptions. And their perceptions are based on their race and life’s experiences. And the judge instructed jurors that they are not to disregard their common sense in weighing the evidence. When many whites hear the testimony of a white police officer saying he feared for his life as Ferrell, a large former college football player, came towards him after being asked to stop three times, they see and likely empathize with Kerrick. Kerrick saw a large black man as a lethal threat and in a matter of seconds shot and killed him. He never identified himself as a police officer. Kerrick testified that he had no option but to shoot. He didn’t know if Ferrell had a gun. He continued to shoot Ferrell even after he fell to the ground. And for many white jurors, their common sense which will be similar to that of Kerrick likely determines the outcome of their vote. And their lens may distort their vision from seeing any other view other than that of Kerrick. And they will likely find reasonable doubt on the prosecution’s assertion that Kerrick used excessive force and vote to acquit. For many African Americans, their views on police differ vastly from whites due to their experiences or those of family and friends. Many blacks understand that they could be Jonathan Ferrell. The prosecution presented testimony to show inconsistencies in Kerrick’s testimony. They also introduced expert testimony supporting the use of excessive force by Kerrick. Presumably it was not enough to overcome the unconscious racial bias of the whites on the jury. We must change the culture of police that sees unarmed blacks as a lethal threat whether playing in a playground like 12 year old Tamir Rice, driving a car like Samuel Dubose or seeking help following an accident like Jonathan Ferrell. Unless we require extensive and ongoing racial bias and sensitivity training in all police departments throughout the U.S., we will continue to see more unarmed Jonathan Ferrells shot and killed by police. And we will see jurors siding with the police to acquit them. From Freddie Gray in Baltimore who ran away from police officers to Jonathan Ferrell who ran towards Charlotte police officers for help, five trials of on duty police officers for killing unarmed victims will likely take place in 2015. On Wednesday, August 19, a Fairfax, Virginia judge set December 14, 2015 as the trial date for former officer Adam Torres accused of shooting and killing John Geer in August, 2013 at his home for a domestic dispute call. In an unusual legal move for police officers, a Fairfax County judge denied bail for Torres—a move that caused the defendant to faint in the court room. Prosecutors refused to offer a plea bargain to Torres—a move that signifies the case will likely head to trial. Although the killing occurred two years ago, the county police initially refused to turn over necessary information on Torres to prosecutors–causing a delay in bringing charges. The case of the six Baltimore police officers charged on May 1, 2015 with assault and manslaughter in the death of Freddie Gray starts October 13, 2015 with motions hearings scheduled for September 2. Gray was found unconscious after being placed in a police van. He died one week later of severe spinal injuries allegedly as a result of being unrestrained in the police van. Almost as important as the trial date is the motions hearings date where the judge’s rulings will determine crucial decisions concerning evidence in the case, location of the trial and other issues. 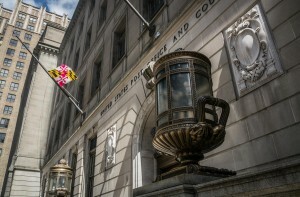 Motions filed by the defense lawyers contend that the defendants will not receive a fair trial if the trial is held in Baltimore. 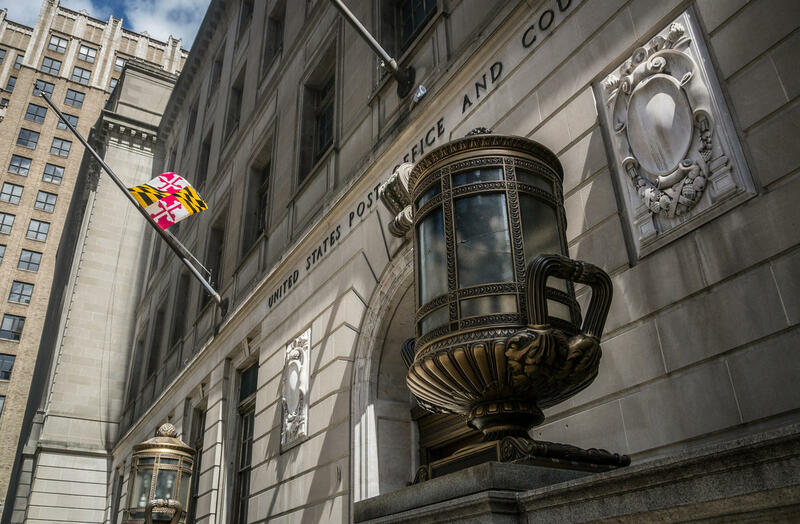 A fair and impartial jury is possible in Baltimore City as rulings in other high profile cases prove. The recent cases of the Boston Bomber and Aurora Colorado theater shooting case were held in their respective jurisdiction—despite the high publicity and number of persons killed and injured in those cases. Baltimore and the ability to obtain fair and impartial jurors is no different from Boston and Aurora. A judge set November 4, 2015 as the trial for University of Cincinnati police officer Ray Tensing who fatally shot unarmed Samuel Dubose in July in a matter of seconds following a routine traffic stop. The police dash cam caught the incident on camera. Tensing’s lawyers plan to file for a change of venue despite acknowledging that a change of venue rarely occurs in Hamilton County. Tensing is expected to argue that Dubose caused him to fear for his life. A Charlotte jury is deliberating the police officer charged with manslaughter in the shooting death of Jonathan Ferrell. Randall Kerrick shot Ferrell ten times as Ferrell ran towards the officer and two other officers for help following an accident and after knocking on a house door for help. Like in most police officer shootings, the jury must decide if excessive force was used or reasonable force. The other two officers present with Kerrick did not shoot. They also did not testify. And like many on duty police killings, the defense blamed the victim. That is also an expected defense in the Freddie Gray case in Baltimore. Former North Charleston officer Michael Slager faces murder charges for the April shooting of Walter Scott eight times in the back while running away for a routine traffic stop. His actions were caught on video tape by a bystander. While no trial date has been set yet, an August 27 hearing on Slager’s bond has been scheduled. He remains in custody awaiting trial. A judge ruled on Tuesday that two Albuquerque, New Mexico police officers will go to trial for the 2014 murder of James Boyd, a homeless man who suffered from schizophrenia. As with the case of Slager, there is video of the shooting. Boyd appeared to be surrendering following a hours long stand-off with the officers. Boyd like Freddie Gray died later at a hospital. These on duty police killing cases vary in terms of race of the victims, location, how death occurred, charges, video and other factors. Their common denominator is all victims were unarmed. If these cases prove anything, it’s the need for increased and better police training in areas of confrontation, mental illness, domestic violence, race sensitivity and when the use of force is unwarranted. Despite the number of police officers facing trials in 2015, they pale in comparison to the large number of persons who die at the hands of police every year. There must be universal reform in how police departments conduct business. If not, many more unarmed persons will continue to die at the hands of police. UPDATE: On August 21, the manslaughter trial of officer Randall Kerrick for the death of Jonathan Ferrell ended with a deadlock jury of 8-4 in favor of acquittal. No decision on whether to retry Kerrick. On Wednesday August 12, Minnesota’s Supreme Court approved a pilot program to commence in November allowing cameras in criminal court rooms but only in sentencing hearings. The new rule changes the precondition that all parties consent. Much of the work of our criminal justice system occurs long before a trial or plea bargain. Cameras are needed inside courts to bring about necessary changes in the criminal justice system. The recent police shootings of unarmed minorities sparked the call by many for police to wear body cameras to show how events unfold. Body cameras only speak to one part of the equation. The other part is what happens inside courtrooms across America. As a former prosecutor and now trial lawyer, I see the need for allowing cameras in all court rooms. Most court room proceedings are open to the public. Those proceedings that are already open to the public present no harm in allowing further transparency with cameras. The use of cameras inside courts varies from state to state. In Maryland where I prosecuted, camera coverage is prohibited in criminal cases. Those opponents in Minnesota and elsewhere against cameras inside the courtroom argue cameras only benefit the media but work against justice and due process. I beg to differ. In criminal cases from bail hearings, arraignment, motions hearings, trials and post- trial proceedings, the criminal justice system grinds daily. What happens inside court rooms will surprise most people. Real court does not remotely resemble TV dramas. And most high profile trials that are broadcast give only a glimpse of how the system works. The most important aspects of the criminal justice system are the day to day inner workings of courts. A bail hearing is the first step in the process for someone charged with a crime to determine an amount of bail or release without bail. Factors depend on the seriousness of the crime, an individual’s ties to the community and whether he or she presents a flight risk. The amount of bail set is usually an arbitrary amount and varies from judge to judge or county to county for similar crimes and individual criminal history. In Baltimore following the Freddie Gray unrest, a judge set a $500,000 bail for Allen Bullock, the African America teen who turned himself following alleged destruction of a police vehicle whose photo went viral. Meanwhile, the six Baltimore police officers charged with the death or assault of Freddie Gray received bails ranging from $250,000 to $350,000. And former University of Cincinnati police officer Ray Tensing received a $1 million bail for the shooting death of Samuel Dubose. I’ve seen a defendant with no previous criminal record receive a bail set at $100,000 for sending harassing texts and emails. A closer look at our bail system is warranted. Many persons who cannot pay bail regardless of their crime remain in jail until trial. In misdemeanor cases, that sometimes means a person might spend as much time in jail awaiting trial as the maximum sentence allowed for the crime for which they are charged. In other cases, many innocent persons unable to make bail will agree to plea bargains just to receive their get out of jail free card. Trials for individuals who do not want a plea bargain are a rare occurrence. More than 90% of all criminal cases result in a plea bargain. The most striking aspect of cameras inside court rooms, particularly those in urban cities, will show the disparate amount of African Americans in the criminal justice system facing misdemeanors. Court rooms of mostly African Americans often fill up with standing room only. In most states, misdemeanor dockets make up the vast majority of cases. Yet, felonies receive all the media attention. The interaction between lawyers and their clients varies. Many lawyers are very well prepared. However, many overworked public defenders and some private counsel meet their clients for the first time inside the court room on the day of the case. And I see lawyers who do not know the facts or legal aspects of a client’s case. And a lawyer’s preparation often determines the outcome of a case. I doubt if cameras will change the way that lawyers, judges or defendants act. The change will come from how concerned citizens respond. Seeing the harsh realities of real court room drama will compel change. As many activists lobby for body cameras on police, they should also argue that cameras be allowed inside criminal courts. Change will not occur in the criminal justice system until we know the facts that necessitate the change. Justice League NYC activists traveled on Monday to the Department of Justice to rally and bring awareness to the lives of women of color killed while in police custody with no clear answers from the Department of Justice or local police officials. 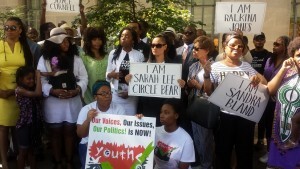 The small but diverse group demanded answers in the Sandra Bland case and a host of others, including Raynette Turner, Kindra Chapman, Joyce Curnell, Sarah Lee Circle Bear, Ralkina Jones and other unnamed and unknown women of color. Speakers spoke about a national emergency and rejected the idea that these women dying while in police custody are individual incidents. Sandra Bland at 28 years old died in a jail cell in Waller County, Texas on July 13 after a traffic stop for failing to signal she was changing lanes. Her death while ruled a suicide leaves more questions than answers. While jail guards state that Bland may have had a prior attempt suicide, jail guards made no attempt to keep her safe. Native American Sarah Lee Circle Bear, a 24 year old mother of two children ages 1 and 2, arrested on a bond violation in South Dakota complained of excruciating pain to her jailers. Instead of protecting and helping her, her jailers stated, “quit faking” and “knock it off”. She died July 6 after being found unconscious in her cell and later taken to a hospital. The death of 18 year old Kindra Chapman of Alabama, also like Bland’s ruled a suicide by hanging, came after she was arrested and jailed for allegedly stealing a cell phone from another person. Chapman died July 14. Raynette Turner, mother of 8 and wife of Herman Turner for 23 years, landed in a Mount Vernon, NY jail after being arrested for allegedly shoplifting from a grocery store on July 25. Her arraignment was scheduled two days later on July 27. She never made it. She was dead by that afternoon in a holding cell awaiting her arraignment. Her husband waited all afternoon for her to be arraigned. And these are a few of the women of color known to have died while in police custody—in July. Although the name of Sandra Bland and her video police encounter is widely known, these other women of color who lost their lives in July barely received any media mention. And the Twitter hashtag was started with #SayHerName to recognize that women of color have died while at the hands of police. It is not solely black men who die while in the custody of police. These women’s names and lives matter. The investigations into these women’s death varies. The questions still outweigh the answers. And justice eludes these cases. Keeping attention on these women and saying their names will help propel answers and hopefully justice. Rally speakers represented on Monday were from the Justice League NYC, Black Women’s Roundtable, Avis Jones-Deweever, Tamika D. Mallory, Rev. Willie Wilson, Rev. Jamal Bryant and a host of others. While commending Loretta Lynch as the first black woman to be confirmed as U.S. Attorney, Rev. Jamal Bryant stated to her this is a code red situation. Bryant sought answers of what would be the outcry if 6 Caucasian women died under police custody. Speakers demanded to know how many resources and lawyers are being allocated to address this crisis. Bryant engaged the crowd to lift up their voices as one collective group of conscious effort until justice is reached. Justice League NYC also had representatives from the hip hop artist community in support of the cause. The event is a preamble of many more similar events to come in various cities throughout the U.S. Another similar event will be held in Baltimore on August 15. Washington, DC based Debbie Hines is a trial lawyer and former Baltimore prosecutor. She also contributes to the Women’s Media Center.